“Hampton Farm” is a secluded private property nested in the semi-rural suburb of Brookfield. 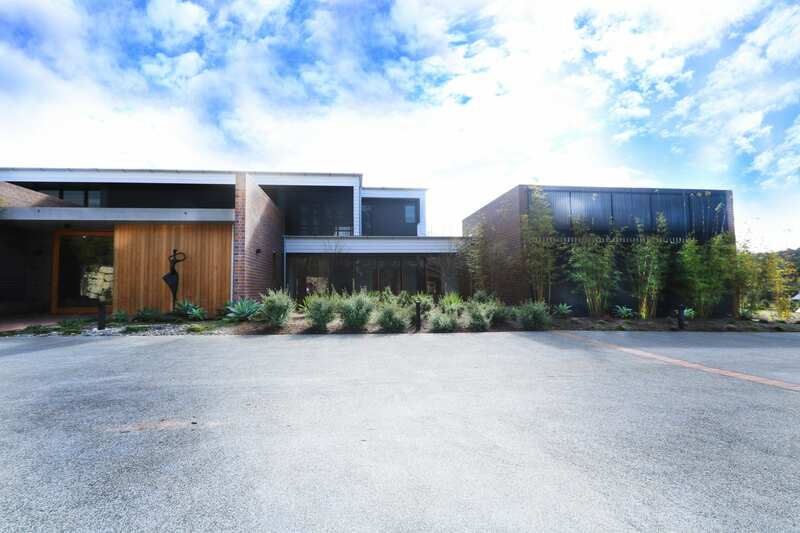 Designed by Shaun Lockyer Architects, this residence stretches over 4 hectares of vibrant green pastures and backing onto Gold Creek. With the idea of creating a self-sustainable environment that would preserve as much natural appeal as possible, our team (design through to construction) worked closely with the owners to achieve a successful translation of eco-friendly living. 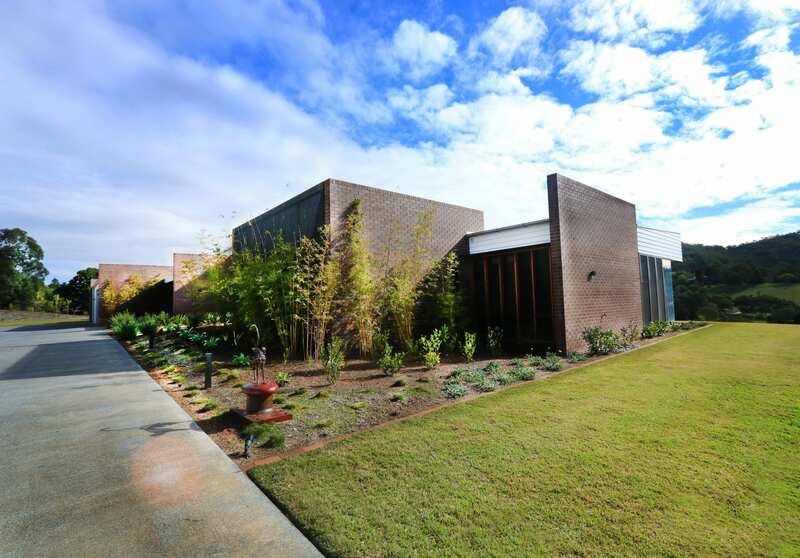 Landscape work on this project was extensive on multiple fronts around the property. 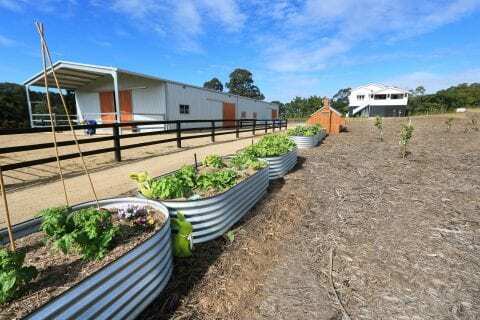 Softscape included earthworks, installation of up to 1800 m3 of soil, mulch, approximately 6000 m2 of Empire Zoysia turf and a variety of native plants (trees, shrubs, groundcovers, fruit trees and ex-ground deciduous trees that needed to be craned in). 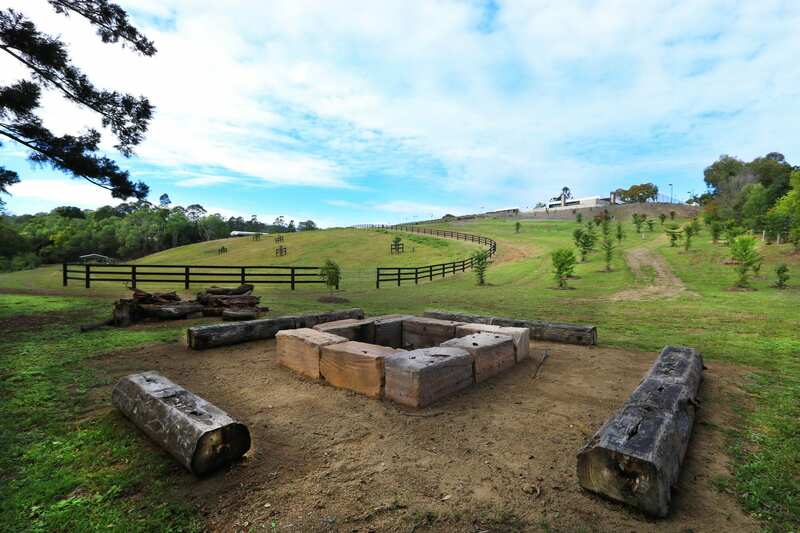 Multiple wood & rockwork features were added to enhance both the natural aesthetic of the site and enrich the owners experience. 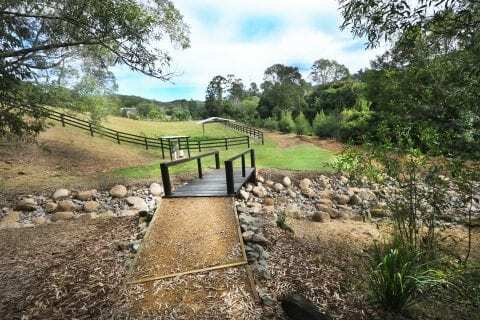 Adding to the natural bush landscape was the creation of a dry creek with a sturdy timber bridge crossing over a stream of river gravel, natural stones and boulders. 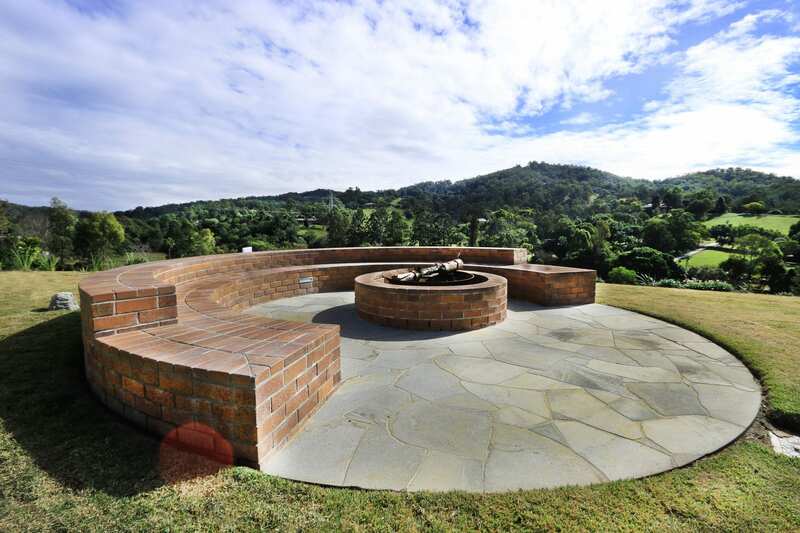 Other noticeable features included the installation of an inground trampoline requiring pit excavation at up to 1m deep; seating logs, timber sleepers and boulders forming a campfire area; the installation of raised vegetable garden beds, a chicken coop and storage bins; and a stylish entertainment brick fire pit (winner of the 2018 Landscape Queensland Construction Excellence Best Residential Feature Award).